Today we are taking a really close look at one of the major US brands of sheds, Lifetime. We are going to be very fair in this Lifetime review and make sure we give you fine folks all the essential information that you need to know. 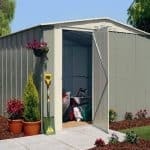 So if you are in the market for a plastic based shed, then keep on reading to see if Lifetime is the right brand for you. Lifetime actually started life as basketball hoop retailer in the USA and they are considered one of the very best actually. They have been making basketball products since the 80s, but since then they have branched out into other products as well such as garden furniture, kids playsets and even kayaks. They have had some great success with their range of sheds and other garden structures, and while Lifetime may not be quite as well known over here in the UK, in the USA the Lifetime brand is known to be something of real high quality. Lifetime: What Kind Of Products Are In The Lifetime Range? Okay so we are not going to be talking about their basketball hoops or kayaks here, but we are going to really enjoy taking a close look at some of the fantastic sheds and other garden storage products that are part of the Lifetime brand. Lifetime sheds all have a similar style and we are honestly having a hard time thinking of another brand that has such a similar look for most of their products. We are not saying this is a bad thing, as a matter of fact we find it very interesting how Lifetime sheds do have this very interesting design. Their standard sheds come in a variety of sizes ranging from 7 to 15 feet wide, so no matter what size garden you have there will be a Lifetime brand shed that will fit. Some of their 15 feet wide sheds are truly fantastic looking and while they are marketed as sheds, we actually feel that they would work amazingly well as a summerhouse where you can relax or have a party with friends. 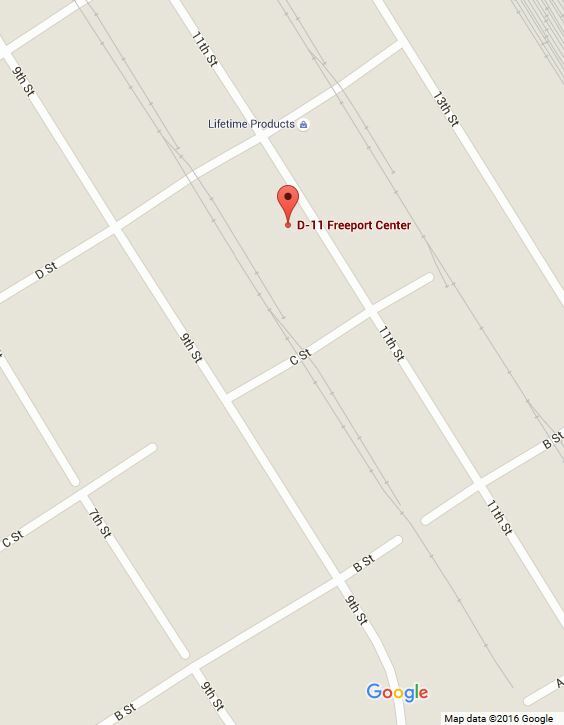 It is interesting the way they separate their sheds as they have sections for their, 7, 8, 10 and 15 feet wide sheds. From there, each size has a few different styles such as ones with and without windows, some that are deeper and just little cosmetic changes that ensure there is bound to be a style that catches your fancy. 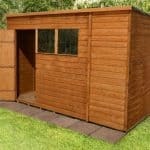 As well as their sheds, Lifetime do also offer extension kits which we think are very cool. Let’s say you buy one of their smaller sheds that they offer, but then decide you wish you had more space. Well rather than purchase a whole new shed, you can buy one of their extension kits and extend the shed you already have. We just love this and think it is something that many other brands should take note of and consider adding. In addition to their sheds, Lifetime also have a range of storage boxes that would come in handy for storing tools, kids garden toys or just anything you are sick of tripping over on the lawn. Lifetime: How Is The Quality? 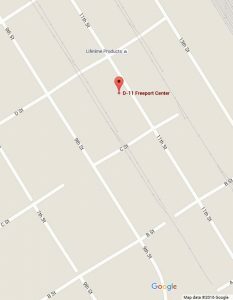 Make no mistake about it, Lifetime is known for making quality products. We mentioned before how Lifetime sheds all have a very similar style, and the reason for this is because they are made with the same materials. A Lifetime shed is made from high quality Polyethylene, which is a very strong and durable plastic that can take anything mother nature throws its way. As well as dealing with mother nature, all of the sheds are UV protected so the sun will not cause them to fade or lose their looks in any way. We love the look of the roof that Lifetime use. It has a slate look to it, but it is made from that same kind of Polyethylene as the rest of the shed. It is also supported with steel trusses to make sure it is very strong, so if we do get a brutal winter, the roof can take the weight of many, many inches of snow. As well as making the roof strong, Lifetime also ensure it is very practical as they have made it at a high angle to make certain rain runs right off. Also, most of the sheds come with a skylight in the roof to allow natural light to enter the shed. As you can see, Lifetime products have been designed very well and honestly we really cannot think of anything negative to say about them from a quality point of view. Okay so now that we have finished getting giddy over the quality like a schoolgirl at a One Direction concert, we can tell you that while we love how high quality Lifetime sheds are, we also really like how the materials they have used make their products very low maintenance. There is no need to invest in a giant size tub of treatment to coat the shed with on an annual basis. You have no concerns over the shed starting to rot or anything like that. All you have to do is give it a wipe down with a sponge or if that sounds like too much work just use the garden hose. So not only are you getting many years of use out of a Lifetime shed, you also do not really have to do much to keep it looking great either. Lifetime: How Are The Products Priced? You have probably gotten the idea that Lifetime sheds are quite the premium product and we are sure that a few of you are very curious about the prices these are sold at. Well for a shed of such high quality, you are going to have to pay a fairly high price for it. Lifetime sheds are some of the more pricy sheds on the market right now and to be fair that is to be expected with how well they are made, how low maintenance they are and also how many years of use you will get out of them. 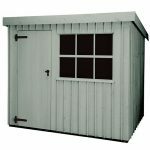 To give you an idea of the kind of price range that Lifetime sheds are being sold for – Taylors Garden Buildings have a few different Lifetime sheds on their sites, with the cheapest one being, £729 which is a lot of money for a shed that is 8 x 5 in size. 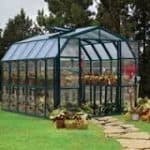 We know some may see this price and consider running for the hills or at least running to a wooden shed, but you have to take into account how well made these are and how many years of use you are going to get out of it. The larger sheds in the Lifetime range, we are talking the ones over 10 feet, are priced between £1000 to over £2000, so they are very pricy. 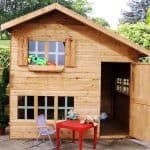 We know that the prices Lifetime sheds are being sold for are not cheap and that it may put them out of reach, but before you do decide to purchase a lower priced wooden shed, we would suggest that you have a think about maybe saving up for a little bit longer or even splurging and treating yourself. As we said, we know the price point is high, but on this occasion we do actually feel that it is justified. Lifetime: How Customisable Are Duramax Products? No customisation options are available for Lifetime sheds, but this is the case for most other plastic sheds. There really is not a lot you can expect to do when a shed is made from plastic, so we will not be too harsh on Lifetime for this. Now while they do not actually offer any customisation options, when it comes to extras, Lifetime are one of the best brands we have seen for offering accessories and extras for their sheds. They have long shelves, corner shelves, tool kits, shutters and even an extreme weather kit. We are not saying that you would need to purchase these extras, but it is nice to have them there to at the very least consider. Are Lifetime sheds the Rolls Royce of plastic based sheds? Well they are certainly one of the most impressive brands that we have seen, as well as one of the most expensive. They really do make a wonderful shed that is built to last and has a very distinctive style that from the first look, you know is a Lifetime shed. If you want the very best of the best then you have to pay for it, and if you can stomach the asking price then we have no doubt at all that you will be very happy with your Lifetime shed.